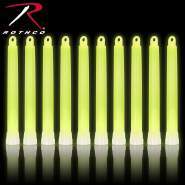 Rothco’s 4-Pack of Chemical Lightsticks includes 4 different colors, green, red, blue and yellow, each 6” long. 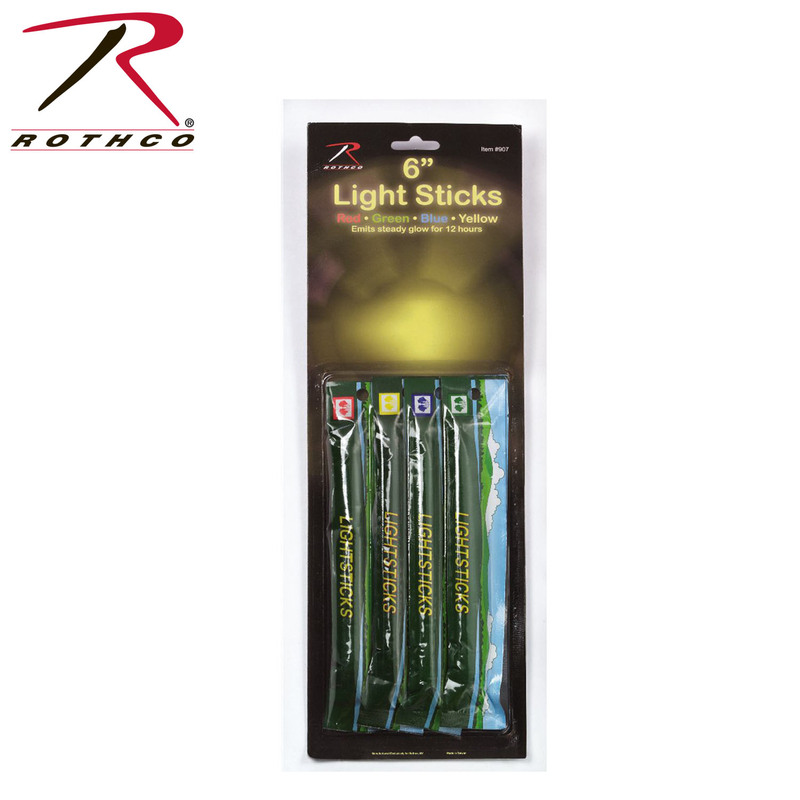 These lightsticks are perfect for camping, back packing, fishing, hunting, hiking or emergency situations. The glow in the dark chemical lightsticks emits a steady glow for 12 hours. 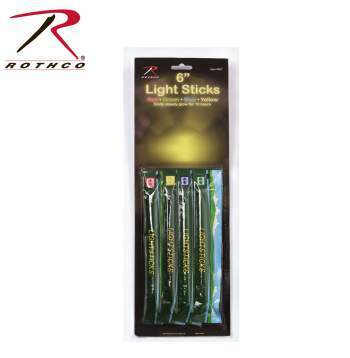 Rothco’s 4-Pack of Chemical Lightsticks includes 4 different colors, green, red, blue and yellow, each 6” long. These lightsticks are perfect for camping, back packing, fishing, hunting, hiking or emergency situations. The glow in the dark chemical lightsticks emits a steady glow for 12 hours. 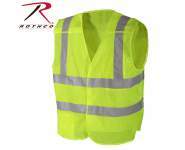 WARNING: This product contains a chemical known to the State of California to cause cancer, birth defects and other reproductive harm.